Junior year of high school is when the real work begins and is almost always the busiest year of the college application process, but don’t let that stress you out! By managing your time wisely and creating a calendar of what needs to get done (and when), you can easily stay on task throughout the year and reduce the potential for stress and anxiety. Read on to learn about six critical and exciting big steps you will take in your college process this year. The SAT and ACT are standardized tests that measure a student’s aptitude for success in college. The test questions measure skills and knowledge that research has shown are important for college. There are three sections in the SAT test: Evidence-Based Reading, Writing, Math, and an optional essay portion. You are given a combined score for the Reading, Writing, and Math sections, and the essay is scored separately. You will need to register to take the SAT and ACT. This can be done online on the College Board website, on ACT.org, or over the phone. You will be asked to select a testing center close to your home, and you'll need to provide information such as your name, address, school, and a photo of yourself. The fee to take the SAT and/or the ACT can range between $45 and $60 depending on which test you take. If you are unable to pay the fee to take the test, you can apply for a fee waiver that will allow you to take the tests and send your scores to up to four colleges. College visits are an exciting experience, you are finally able to envision yourself on the campus, eating the food, learning in the classrooms, and sleeping in the residence halls. It is important to start your college visits early. This will allow you to spread your visits over your junior and senior year, and will help prevent the visits from conflicting with extracurricular events or project deadlines. When you go on a college visit, there are a few essential things you should include in your stay. Make sure you sign up for a tour of the college. Although this might seem obvious, a tour is a great way to see the campus and often learn from a student who is attending the school. Be sure to sit in on a class and maybe even schedule a visit with a professor or the head of the department you are considering for your degree. This is a great opportunity to ask them questions about the program you are considering and to get a feel for the student body. In fact, some colleges will customize your visit scheduled based on your personal interests! Figuring out how to pay for college can be a daunting task, but there are several places to look and apply for help. The very first step in seeking financial aid for college is filling out the FAFSA. FAFSA stands for the Free Application for Federal Student Aid. It can seem like a complicated step, but most colleges, and every federal and state organization, will not consider you for any financial assistance without it. It is simple to do and opens you up to a whole world of additional aid opportunities. 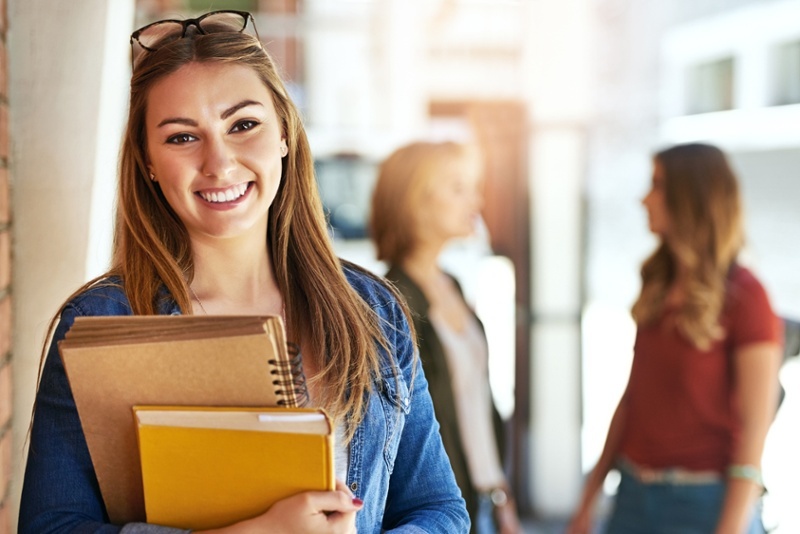 The key to getting financial assistance for college is to start early and apply to as many grants, scholarships, and other merit-based aid opportunities as possible. Make sure you look into all your financial aid options, and consider alternatives such as a part-time job or work-study program. Especially as your responsibilities and stressors increase during your junior year in high school, it is important to make time for extracurricular activities. Striking a healthy balance between in-and-out-of-school activities will make you a more well-rounded individual and help you to succeed in the classroom. By participating in a diverse number of extracurricular activities, you can build your college resume, demonstrating to future college admissions counselors that you are a productive, engaged, and multi-faceted student — an ideal addition to their college. Service is an especially important part of your extracurricular engagements. It is important for colleges to see service or volunteer projects on your resume, because it indicates that you prioritize giving back to your community and will give back to the college’s community as well. Almost every college application you complete will ask you to include a resume. This is a summary of your activities and accomplishments. It includes academic accomplishments, awards and honors, extracurricular activities, service and volunteer engagements, and work experience. It is a place for you to highlight the best parts of yourself and to promote the character qualities you want colleges to notice. Take the time to start thinking about which teachers you would want to write letters of recommendation for you. Ask yourself questions like: Who do I have a good relationship with? Who will be able to speak to my strengths and give concrete examples? It is also polite to ask the teachers you are considering, if they would be willing to do this for you. Be sure to give them a heads up that you might ask them for a recommendation letter. If you do decide to ask them, give them the guidelines or prompt with plenty of time to compose a thoughtful piece. And choose someone who knows you well! You want the letters of recommendation to be specific and personal to your strengths and talents. When you start thinking about college, you might be overwhelmed by the amount of information that's out there! In order to keep yourself thinking about college admissions, consider subscribing to a blog for college-bound high school students — like Neumann University's NeuDirections. We post once a week, and we cover a variety of issues related to transfer, international, first-time students, and first-generation college students. You can subscribe to the blog here! IT'S NEVER TOO EARLY TO START THINKING ABOUT COLLEGE! Your junior year in high school is a time for self-exploration, learning, and personal growth. You're so close to heading to college, and we hope you'll consider how you can start preparing for the college admissions process NOW. At Neumann University, we're excited that you're starting to think about college. Feel free to request more information if you have any questions!